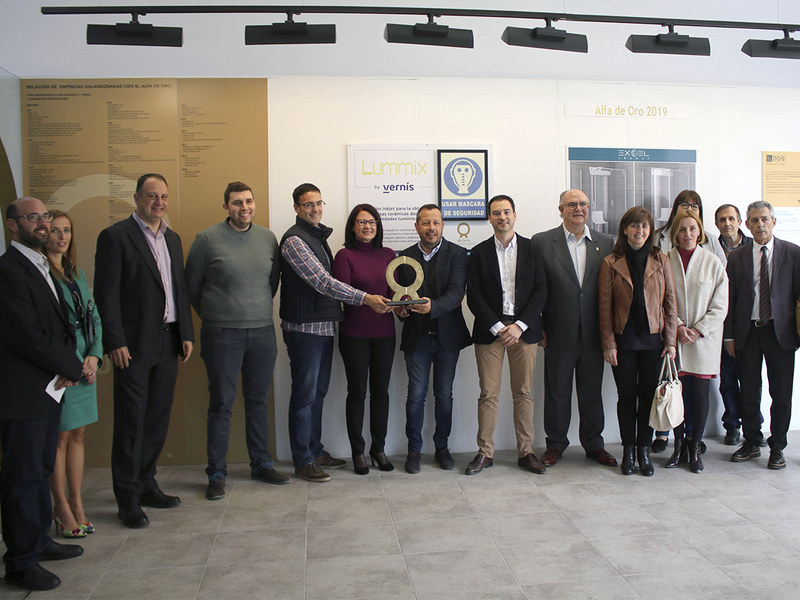 The Museu del Taulell ‘Manolo Safont’ has received the Gold Alfa 2019 from the companies Rocersa, Vernís and Excel Shower. From now on, the museum installation will guard and publicly display them in its permanent collection, which collects all the awards in the history of the awards with the explanation of what each recognition consists of. It is worth remembering that these prestigious awards given by the Spanish Society of Ceramics and Glass (SECV) held its 43rd edition last February in Cevisama. This year, the Alfa de Oro awards went to the companies Rocersa and Digit-S for an innovation that affects the entire value chain: the development of full digital three-dimensional production, which allows a single line to launch a complete line of production of three-dimensional materials with high added value and sustainability. The Ondense Vernís company has also won a gold Alfa for the development of a luminescent inkjet ink for its application in decoration and signage, both in pavement and cladding, and printable in any header and with a standard industrial firing cycle. Finally, the company Excel Shower has been awarded for the design of the HCS shower cabin for people with reduced mobility, easy to install and use, and which covers a growing social demand.